Recently a survey entitled “The Shopping Habits of the Anglo Community in Israel” was conducted by www.anglo-list.com. Suzanne Suckerman who developed the Anglo-list – the Aliyah and Israel lifestyle website – explained “Olim tend to have preconceived expectations about living in Israel based on their lifestyle back home and when they get here the realities can be very different. If they can establish how English speakers in Israel are actually living, they can set realistic expectations. When we design our surveys or web content we try to keep the collective experiences and frustrations of the Anglo community in mind”. 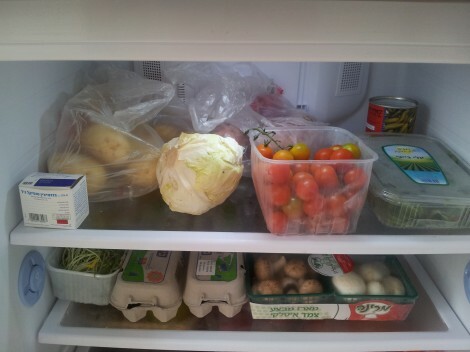 Food is essential for us to live so the trip to the supermarket is driven by a rational and existential requirements. However, 51% of respondents felt that the selection of products which they choose is primarily an emotional decision. For example 59% will buy food specifically from your country of origin, because it is comforting. 56% of you will shop in accordance with their religious beliefs and 53% have a medical condition that influences their food purchase. So where do we shop? 87% of those surveyed do most of their shopping in supermarkets, 11% will shop at the supermarket nearest to their work and 52% will not be prepared to travel up to 10km to shop. The formula here is that you can travel up to 20 minutes in order to shop at a cheaper supermarket which is normally located outside the city or industrial areas. A good way to reduce your supermarket bill is that you shop alone which 58% do and 62% will shop without children. Children will increase your total shop by 25% I am impressed that 56.5% will shop at the shuk (an open air food market) here the products are much fresher than in the supermarket, but not necessarily cheaper. As a family financial advisor I was impressed that 70% will prepare a list to shop at the supermarket and the majority will stick to it. This means that 30% of you still walk into the supermarket without a list and 22.2% do not have a food budget. 67% are aware that supermarkets manipulate us into making unnecessary purchases, like putting a free tasting food stand, having special offers, comfort food at the checkout and have the cashier inform you of the month’s special offer. Sticking to a budget and planning a shopping list will ensure that you do not spend more than you earn and is essential in achieving financial stability.